Thank you again to Wodke Hawkinson for letting me feature another one of their novels on my blog. Read more about their other novel, Betrayed. Please Note: This novel contains sexual scenes and violence. Zeke is a dark novel of sexual obsession, psychological manipulation, and looming peril. Sue Cox is a naive college student who falls for the exciting new clerk at the local used bookstore. Captivated by Zeke’s brooding good looks and menacing but irresistible charisma, Sue capitulates to his will, leaving her wide open for exploitation. Zeke begins to exert subtle control and entices her to leave town with him. As they travel, his behavior grows more deviant and increasingly volatile. After Sue’s car is found deserted in an outlying cemetery, the police dismiss her parents’ concerns since it appears Sue left willingly. The Coxes immediately hire William Falstaff, a small-town private investigator. He begins his inquiry with only two objectives. First, to verify that Sue’s departure is voluntary. And second, to provide her family with information on her whereabouts. A simple case. However, he soon finds himself locked into a chase to save Sue’s life. Will he find her in time or will she become another victim of a cunning sociopath? Wodke Hawkinson is the name under which indie writing duo, K. Wodke & PJ Hawkinson, produce their co-authored works. In addition to popular novels Betrayed and Zeke, Wodke Hawkinson has published three volumes of short stories: Catch Her in the Rye, Blue, and Alone, and two short story singles thus far. Karen and PJ live in different Midwest towns and do much of their collaborating via phone and email. They are currently working on a sequel to one of their novels and an epic fantasy. Their third novel, Tangerine, has been picked up by a publisher and is set to be released later this season. Available in several ebook formats through Smashwords, or for Kindle from Amazon. In addition to their website and blog, http://wodke-hawkinson.com, they also host a site for readers and other authors: http://findagoodbooktoread.com which features book lists, flash fiction, a blog, and excerpts. Their Twitter ID is @WodkeHawkinson and they enjoy connecting with readers and fellow authors/writers. Posted in Thriller and tagged adult themes, authors, crime, detective, ebooks, Kindle, obsession, Smashwords, Suspense, Thriller, violence, Wodke Hawkinson, ZEKE. Bookmark the permalink. I’d like to thank Wodke Hawkinson for taking the time to submit their novel to my blog. Please Note: This novel contains sexual violence and strong language. Not suitable for anyone under the age of 17. Brook, a Denver socialite, seems to have a good life until she becomes the victim of a botched carjacking. In a matter of minutes, her life is forever altered. She is abducted, transported, and held for days by three brutal men in a remote mountain location. She escapes only to end up barefoot, nearly naked, and hopelessly lost in the Colorado wilderness at the beginning of a harsh winter. Lance, a man who has shunned society, lives like a recluse in a rustic cabin far removed from the modern world. He likes his solitary life. But his world is about to be turned upside down. Available in several ebook formats, as a Paperback, or for Kindle. Posted in Contemporary Romance, Thriller and tagged abduction, adult themes, authors, Betrayed, books, books for ages 17+, Contemporary Romance, ebooks, Infidelity, kidnap, Kindle, Smashwords, Suspense, Thriller, violence, Wodke Hawkinson. Bookmark the permalink. It’s my pleasure to be hosting Lee Chambers on my blog today. Thanks, Lee! Writer, producer and director Lee Chambers has been lecturing and producing award-winning films and education film production workshops for over ten years. 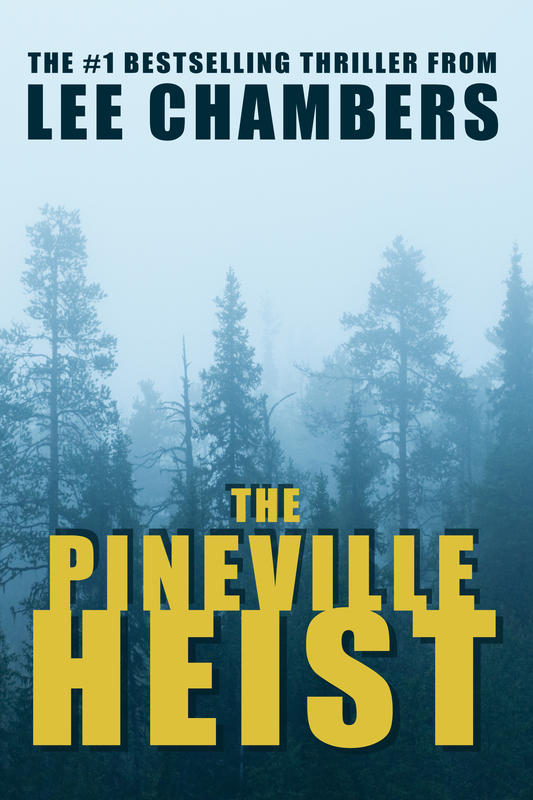 Expanding his creative talents and feeding his love for story-telling, Lee decided to turn his attention to novel writing, his debut novel The Pineville Heist becoming a Number 1 Best Selling Thriller. Born in Canada, Lee’s roots are in Yorkshire and he moved to England in 1995 where he completed his post-graduate diploma in Film Production at the Leeds Metropolitan University. He worked professionally in London on film and television productions for the BBC and Miramax before heading to Los Angeles in 2002, continuing his work in the music industry and working on music videos, returning to Canada in 2004 to take up a post as a Professor in the Film Production Program at Confederation College. In 2005 Lee developed the Make It Short Film Project (MISFP), a project which allows Lee to share his passion for film, while educating communities in the art of film production and allowing them a rare and valuable opportunity to experience life on a ‘real’ film set. MISFP has attracted Academy Award Winners such as Paul Haggis and Roger Corman, coming on board as Executive Producers; Vincenzo Natali, Genie nominated Director of Splice lent his support as Executive Producer for Lee’s Australian produced 2011 Eyes on the Road. Lee’s short films have been nominated and won awards around the world, his heart-warming 2009 When Life Gives you Lemons short, starring Basil Hoffman, has been shown in over 60 festivals worldwide. Lee’s talents as a screenwriter was recently recognized, winning Screenwriter of the Year at the 2012 Ontario Music and Film Awards, for his Australian short, Hugh Jackman Saves the World, currently in post production. Recognizing Lee’s major contribution to the Arts, Lee was recognized by his peers and nominated for the 2011 Premier’s Award in the field of Creative Arts (Ontario). The Pineville Heist was developed from the award winning screenplay of the same name I co-wrote with Todd Gordon. Having already attracted a Distribution and LA Sales Agent, The Pineville Heist is currently in the funding stages of being developed into a major feature movie starring Booboo Stewart (Twilight saga fame) in the main lead role, exciting times! Seventeen year old Aaron stumbles into the aftermath of a five million dollar bank heist gone wrong. Hiding under a canoe, Aaron partially catches the murder of one of the robbers. In the chaos he sneaks away with the money and heads straight for the closest place of safety, his high school. Terrified, Aaron tells his shocking tale to Amanda Becker, his drama teacher, but it doesn’t take long for one of the psychotic robbers to show up. In the locked down school the pair are relentlessly pursued in a quest to get the money back and wipe out the evidence. Posted in Mystery, Thriller, Young Adult and tagged audio books, authors, Bestselling, books, ebooks, Kindle, Lee Chambers, Mystery, Suspense, The Pineville Heist, Thriller, Young Adult. Bookmark the permalink. 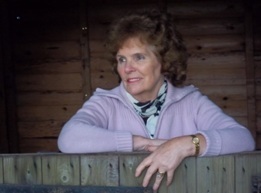 Many thanks to Phyllis for taking the time to get in touch with me to submit her book to my blog. 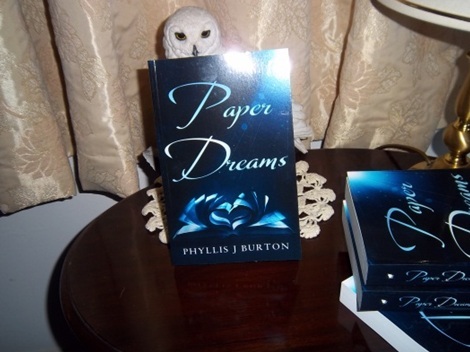 My name is Phyllis Burton and I live near Farnham amongst the beautiful west-Surrey hills in southern England, which have given me the inspiration to write: I love putting my thoughts and those of my characters down on paper. I started writing for my children and eventually moved on to bigger things. Now, I read my stories to my grandchildren. I’ve written quite a few short stories, one of which was recorded and read on radio, and two short-listed in competitions. I’ve written three one-act plays, (two produced and directed by me). I love choral singing and enjoy water-colour painting. I painted the cover of my first novel (A PASSING STORM) which was published by Trafford in 2006. A few days ago, (20th August, 2012) A PASSING STORM was reissued and republished by MATADOR (Imprint of Troubador Publishing Ltd.) as an ebook/Kindle version on Amazon. I feel quite excited now that A PASSING STORM has been reissued and it can join PAPER DREAMS on my bookshelf (and hopefully other people’s too). Every author wishes their work to do well and I am no exception. A paper-back version will be issued later on this year. I am part way through my third book, which should prove to be really exciting. Do people ever think about the word ‘Inheritance’? To some, it may remind them that their lovely Uncle Bertie has not long to live and they can look forward to ‘inheriting’ some of his hard-earned money. Others might fear that a particular disease can be inherited from a family member: whilst some perhaps might think about inheriting some of their good or bad looks, or being too fat or thin, short or tall. ‘Oh dear, my darling new-born baby girl has inherited Uncle George’s nose’, you might exclaim! But fear not, babies nearly always change as they get older. But, the expectation that the latest arrival to your family might possibly have inherited your grandfather’s brains, could either put you into a panic or set your pulse racing. So, when you think of the word ‘Inheritance’, what does it actually mean to you? There are television programmes where celebrities search for their roots. Their expectations are sometimes dashed when they discover skeletons in very old cupboards. Doesn’t every family have those? If someone dies without leaving a will, and no relatives can be traced however distant, then this money will eventually find its way into the Government’s coffers. In fact, the Government inherits quite a tidy sum every year. But there are companies who make it their business to find heirs. They go to vast lengths to find anyone related to a deceased person. Quite often, people are totally unaware of the existence of a relative and eagerly receive any money due to them. Sometimes only one person is lucky and so receives thousands of pounds and yet others find their hoped for inheritance, gradually decreasing as more and more relatives come up on the Heir Hunters’ computer screens. In my latest book, PAPER DREAMS, a romantic thriller, (Harold Hapsworth-Cole) the only known heir to a vast fortune, is sitting in a hovel in Malta, penniless and dreaming of his inheritance now that his aunt (Marjorie Hapsworth-Cole) has died. Meanwhile, following Marjorie’s death, young librarian Katie Nicholson is in the attic of Epton Hall (an enormous, crumbling and creepy mansion) cataloguing the vast library, when she discovers love letters written in 1953, and a birth certificate, hidden in an old book! These letters prove that another heir exists, and any hope that Harold might have had of inheriting the estate, flies straight out of the window. Imagine his fury when he finds out that he has a cousin! Well, what would you do? Would you just sit at home and bemoan the fact that your uncle had an affair with someone living in Canada, and there was a child who could inherit everything? This knowledge, quite literally drives Harold insane and his quest to find the usurper of his hoped-for fortune, brings him into close contact with Katie, with disastrous consequences. But despite his evil endeavours, Katie makes it her ambition to see that justice is done and that the right heir inherits everything. So you see, the word ‘Inheritance’ means an awful lot to many people. What does it mean to you and are there any skeletons in your cupboard? PAPER DREAMS was published by MATADOR on 1st December, 2011 in paper-back and Kindle versions. Posted in Romance, Thriller and tagged Accidents, Attics, authors, books, Canada, Dreams/Nightmares, ebooks, England, Greed, Hospitals, Infidelity, Inheritance, Kindle, Love Letters, Paper Dreams, Phyllis J. Burton, Poison Pen Letters, Romance, Thriller. Bookmark the permalink.